If you have a baby, chances are you may have heard of Childs Farm. Whilst I’ve tried out other great bathtime products, I’ve been itching to try out these products since Autumn was a newborn. I was delighted when I was approached with a lovely gift hamper to test out. Autumn loves her bath time, so she’s always more than happy to be my little guinea pig when it comes to trying out bath products! Well, for starters, their packaging has always caught my eye. With cute, child friendly designs and bright colours, they stand out on the shop shelves when I’ve seen them in John Lewis. 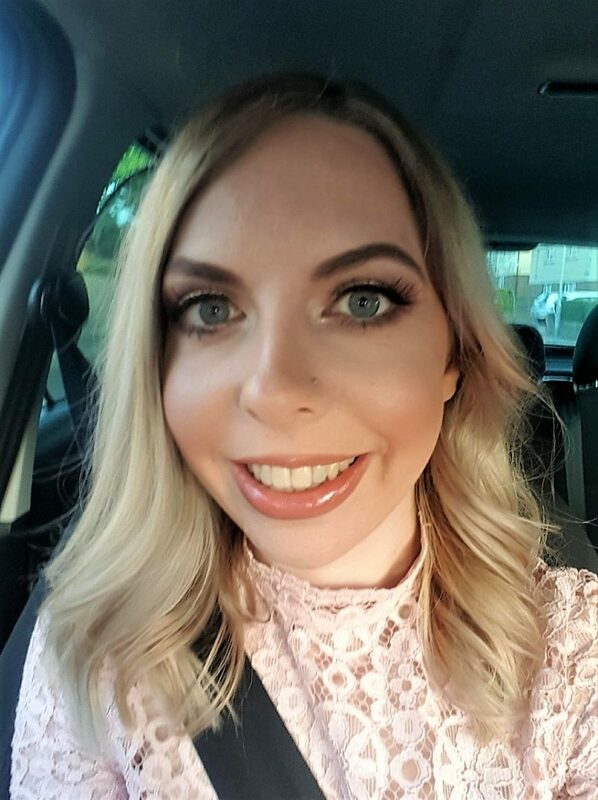 As well as that, I like their ethics and the care that goes into making their products suitable for newborns and children with eczema and sensitive skin. They’re free of nasty parabens, SLSs, mineral oils, artificial colours and are dermatologically tested. Speaking of testing, they’re never tested on animals. For full transparency, they even have an ingredients list on their website so that you can see exactly what you’re putting on your little ones. I’ll start with this brush, as we can’t test it to its full tangle taming potential yet! However, Autumn loves brushes and she loves animals. 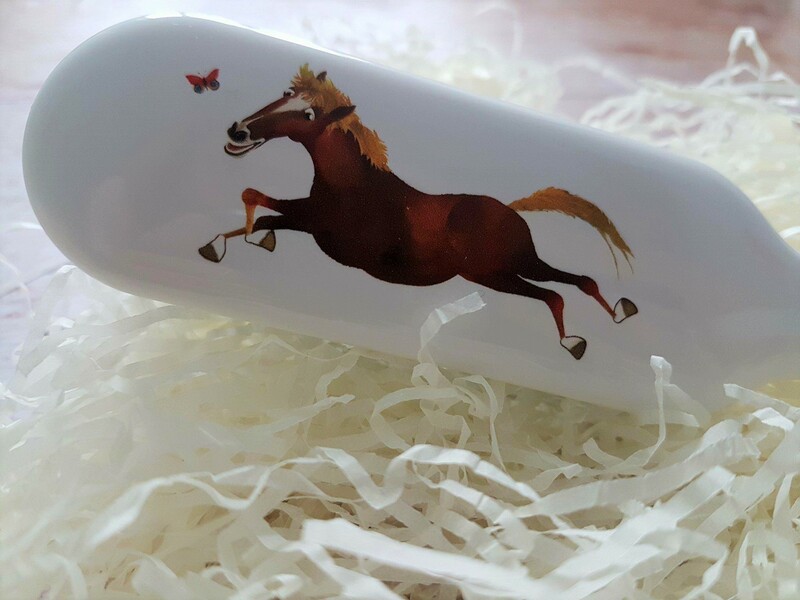 She always points to animals in books, so Buster the horse on the back of this brush is brilliant. Whenever she sees me getting ready, she always picks up a brush at the point in my routine I use it and passes it to me. We’ve turned it into a bit of a game where I brush her hair and then she takes the brush and tries to brush her hair by herself. 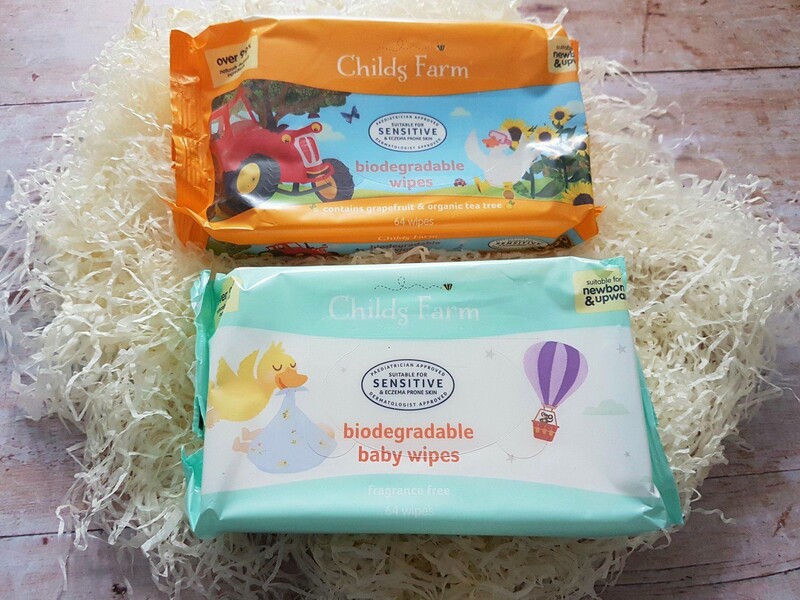 These wipes are lovely, soft and gentle. However, they were a lot less moist than we were used to. Perhaps this is the price you pay for bio degradable wipes? My husband did nothing but complain whilst he was using them. However, they are eco friendly and the grapefruit and organic tea tree ones smell gorgeous! Of course, they’re incredibly gentle too and unlike a lot of baby wipes, they are suitable for newborns. This little set is fantastic! It was perfect for us to take with us on holiday to Bluestone with us last week. It would also be great for if you wanted to sample some of Childs Farm’s products. I didn’t use the hair detangler, as there was no need. However, I got the use out of the hair & body wash and moisturiser. The 3 in 1 swim also came with us on our visits to Blue Lagoon so that I could wash Autumn off in the shower afterwards. She wasn’t too keen on this as she was tired after swimming and doesn’t especially like showers, but she smelled gorgeous! First things first, this smells SO GOOD. My baby smells like a gorgeous little autumnal pie! (Well, that’ll make her cringe if she reads this back in a few years!) It works well to get Autumn clean and shiny and I feel confident with using it on her sensitive skin. It makes her hair and skin so soft afterwards. She has a tiny bit of cradle cap which is barely visible under her hair. 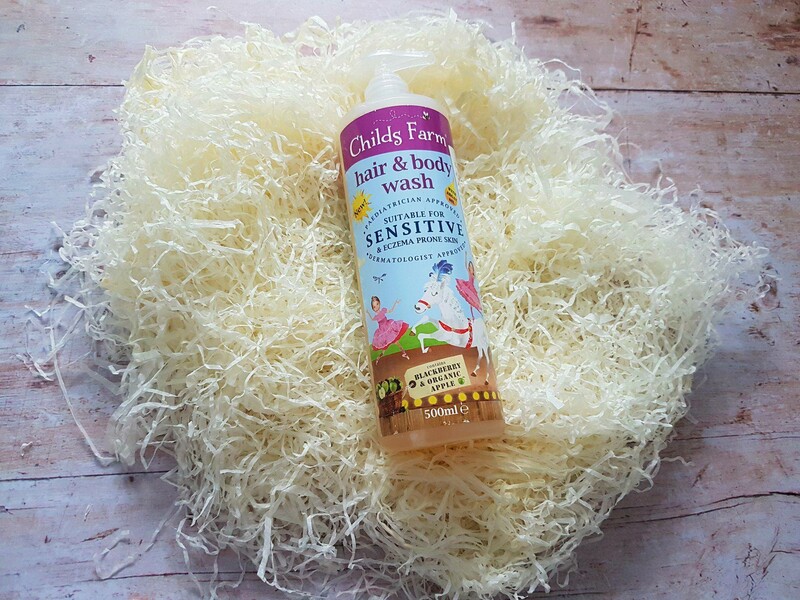 I’ve heard that Childs Farm products have worked wonders on eczema and helped to clear up other children’s cradle cap, so fingers crossed! The other moisturiser in the essentials kit above smells amazing, but there’s something so pure about the cocoa and shea butter scent of this one. Just a quick search online shows that many seem to consider this a miracle cream for eczema, both children and adults alike. It certainly feels like it is hydrating and doing great things when it’s applied. So much so, that I think I might try this on my hands when they get dry and cracked in the winter. I think this will definitely be a repeat purchase! I am so glad I finally got to try some of Childs Farm’s great products. Have you ever tried them before? I’d love to hear your thoughts! Disclosure: I received the aforementioned products from Childs Farm for the purpose of this review. As always, all views and opinions are honest and my own. Would you pierce your baby’s ears?